Village Hub members’ benefits include access to our volunteer matching system, the Village Hub Help Centre, exclusive resources on successfully ageing, and a wide range of physical activities and social groups. 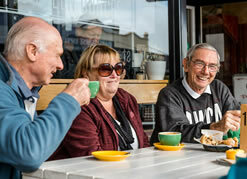 In the very near future, members will also be able to access a community directory of age-friendly businesses in Vic Park, and contribute to it by reviewing and rating their services. We are also working on a discount scheme for important services used by people over 55 in the local area. 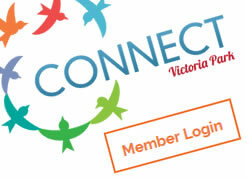 To know more about any of the Village Hub benefits, please contact Connect Victoria Park at (08) 9361 2904 or email admin@connectvictoriapark.org. Village Hub members have exclusive access to our Portal, where they can find information and resources for successful ageing, a directory of local businesses reviewed by other members (upcoming), and a local business discount scheme (upcoming). Most importantly, members can post requests for help with small tasks, and other members or volunteers (friends of the Village Hub) can nominate to help. 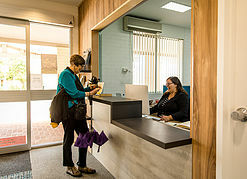 Members can also access the Village Hub Help Centre, a central contact point to assist with practical issues in staying healthy, living independently in Vic Park, or any other aspect of ageing. The Village Hub Member Services Manager is available to meet individually and assist members with issues including home care packages, enduring power of attorney, insurance, passport and other applications. 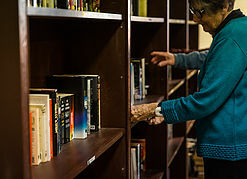 The Village Hub provides members with specially developed Information Sheets on Enduring Power of Attorney, Enduring Guardianship, Advance Health Directive and Wills. We are working on more resources to make life easier and facilitate members’ access to specific services they need. Topics to be addressed include Consumer Directed Care, assistive technology for independent living, local GP clinics and concessions. The Working Group is the heart of the Village Hub, and where members can be active in shaping our services and programs, presenting ideas and helping to develop courses, classes, groups and events. Participants also help advertise the programme and attract new members. The Working Group meets at The Homestead every first Friday of the month, from 2 to 3 pm. The Village Hub offers a range of physical activities: Ballroom Fit, Tai Chi, Chair Yoga, Nordic Pole Walking, Social Cycling. We also offer weekly community lunch on Tuesdays, monthly coach trips, tech savvy and art therapy sessions, creative writing, craft and gardening groups, and the popular Saturday Bingo. Members have discounted access to podiatry and hairdresser services. 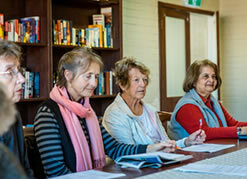 The Out & About group has a calendar of outings around Vic Park and Perth metro area. The idea is to get people together to enjoy Arts & Culture events and nature areas. 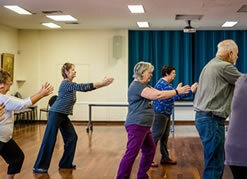 We developed a Health & Wellness programme, with a free flu vaccine clinic, and information sessions on well-being. We hosted Repair Lab and welcome members’ suggestions of special events.